During the revision process for my upcoming book, my editor pointed out some places where the eleven-year-old first person narrator didn’t sound natural. I reread those passages and found that I agreed with her. The problem was that the narrator’s sentences were grammatically correct, and most kids wouldn’t speak that way (e.g., saying “I felt badly” instead of “I felt bad”). This created a dilemma for me. While I didn’t want to sacrifice voice for grammar, I also didn’t want to sacrifice grammar for voice. So I asked myself: are grammar and voice mutually exclusive? Or can they happily co-exist? I think the answer is (mostly) the latter, although I have to admit that I have read many excellent books that toss the rules of grammar aside. I always feel torn when I read those books. On the one hand, the grammatically incorrect voice is often a major contributor to the book’s excellence. On the other hand, I think about how I learned English through school and books because my family spoke only Spanish at home. If grammar had not been taught at my schools, how would I have learned it? And if all the books I read had been full of — albeit intentional — grammatical errors, wouldn’t I have been thoroughly confused? 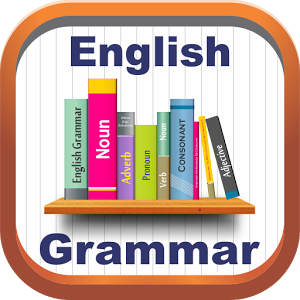 Many middle and high school English classes no longer include rigorous grammar instruction. Does this mean that books have to fill that void? If they don’t, will children from non-English-speaking households be at a disadvantage? I’m not certain about the answers to these questions. What do other writers think? I’m going to keep thinking about this. In the meantime, I don’t want to misinform kids — especially bilingual kids like me — about the proper rules of English grammar. So I’ll do my best to seamlessly join grammar and voice in my books. Hopefully my readers will be entertained by the characters and stories while also learning a thing or two about conjugating verbs and using objective pronouns. Interesting questions. Most "real life" speech contains errors of proper grammar, but I totally get your point about not wanting to mislead young readers. I'm a big grammar fan...and have characters who don't follow the rules.